I’ll go out strong in this piece, here’s a claim – The Melbourne Cup is over! Following the last 3 starts of Fiorente, the big one on the first Tuesday in November is as good as run and won. That might seem like a bullish opinion, even foolish in the eyes of some, but so impressed am I with this horse that I believe if he stays sound, he wins The Cup. I’ll now make my case to back up my opinion. Firstly, Fiorente gets a big tick, for the fact that he’s an imported stayer. They’re building a great record in The Melbourne Cup. Fiorente, however, has the added advantage of having been there and done that, in terms of running second in last year’s Cup, and then having turned some tip top efforts in Australian since. To say he’s well aclimatised is an understatement. Cast your minds back 12 months ago, and as mentioned, Fiorente played the Bridesmaid to Green Moon in The Cup. Interestingly, in the run, he settled immediately behind Green Moon, and in the straight, was a little more dour than Green Moon, which made the difference in the end. He was however hitting the line very nicely in the last 100m. That was his first go under race conditions in Australia. A fine effort indeed. From that day on, the horse’s preparation appears to have been aimed at one race, and that’s The Cup of 2013. This is demonstrated by the fact we only saw him once in the Autumn, and if you missed his run in the All Aged Stakes, it’s time for you to head to The Optical Superstore! The method of a light Autumn, in preparation for a big Spring is becoming more and more popular. When you look at how Fiorente has come back this Spring, I have no doubt that patience has paid off. First up in The Memsie, he was beaten just over 3 lengths, by the much hyped “wonder mare” Atlantic Jewel. 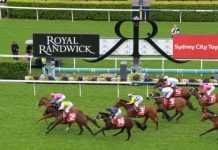 That day, he was clearly out to build his fitness, which is demonstrated by the fact he was asked to pick up from the 800m, running one of the quickest last 800m in the race, in accordance with Vince Accardi’s Daily Sectionals report (www.dailysectionals.com.au). Roll onto his second up effort, and what an effort it was in The Dato Tan Chin Nam at Moonee Valley. Again referring to the Daily Sectionals Report for the day, this horses last 800m impressed. But what struck me was the last 200m being clearly superior to his rivals, in 11.60 seconds. This sort of effort tells me the horse is now much more experienced with the Australian way of training and racing, and now has a superior turn of foot to when he was beaten in The Cup last year. The scary part is, this is only the horses second up run, he simply has to improve from here as he reaches peak fitness. For good measure, look at Fiorente from a breeding point of view and again he comes up trumps being by the late champion Sire, Monsun, who has produced no less than 108 stakes winners, including multiple Derby winners, indicating a strong staying capability in the breed. Fiorente is out of an unraced mare, Desert Bloom, who is by Pilsudski – A champion racehorse in his own right, who twice ran second in The Arc. It’s fair to say Fiorente has some good genetics on his side. To add further weight to my opinion about this horse, I thought I would compare his recent runs to that of the one many are talking up for The Cup, which is Puissance De Lune. He stepped into the big league for the first time on the 7th of September, and was beaten by Foreteller. Foreteller happens to be a horse I think is very underrated, however, many expected Puissance De Lune to make short work of him on this day. He tried, and he got close, but he couldn’t beat him. A closer look at Vince Accardi’s work in the Daily Sectionals Report simply shows that Puissance De Lune was beaten on his merits. Foreteller settled behind Puissance De Lune and ran past him, running 0.22 seconds faster for his final 600m, and in each individual 200m split from that point. Adding further weight to the fact that Puissance De Lune was somewhat disappointing on the day, was that the old boy, Moudre, who has had a number of injuries, was able to finish his last 200m off quicker than Puissance De Lune. Again, I think Moudre is a little underrated, but unfortunately, staying sound has been something he has struggled with, and I wonder what he could have done with better legs. I’ve often thought of The Turnbull Stakes as one of the Flagship races of The Spring, in terms of being a guide to the future, but surely not many would argue that The Underwood Stakes to be run this Saturday, has to tell us quite a bit about what will unfold in the coming weeks. We see Atlantic Jewel go around again, out over a distance that I think may be heading towards her limit, and against opposition that are getting fitter, including Puissance De Lune and last year’s Cup winner, Green Moon, who also produced nice sectionals last start. Throw in It’s A Dundeel, and the somewhat still unknown Sea Moon, and we are in for a treat that is for sure. I’ll go out on a limb and suggest Puissance De Lune may be unplaced in this race and be displaced as Cup favourite by Fiorente. Whilst I have a spring flavour to this piece, I cast an eye over the two other main races of The Spring. 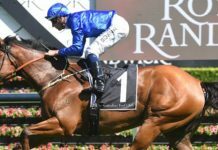 Atlantic Jewel heads up The Cox Plate market at ridiculous odds. As I mentioned above, I think the 1800m this Saturday might just about be her limit distance, so I am definitely of the opinion she will crack in the pressure cooker 2040m around The Valley. In that market, you can find Foreteller, who I mentioned above, at $21 as well as the very impressive last start winner Hawkspur, who I don’t think will see out 3200m of The Melbourne Cup, so either The Cox Plate or The Caulfield Cup look to be his main go. Carlton House is another who also is nice odds in The Cox Plate market at $31. The talk is he is as good or better than Fiorente. Turning to The Caulfield Cup, they certainly didn’t miss Hawkspur last start, but how could you? His sprint at the end was devastating. I’m just not sure of his distance range in Group 1 company against older horses. Royal Descent has been the one I’ve named for a while now in regards to this race, and she’s currently a $10 chance. A couple that I noticed in this market that appear on track via their recent sectionals data however are Bass Strait at $26 and Lidari at $51. I also would not discount the recently impressive Pakal at $31, even though he was beaten at his next run. 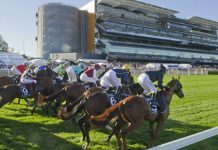 To wrap up – I think we’re in for a real treat this Spring, with the big races all set to have a lot of very high class horses running around, and I’ve only just scratched the surface. There are many more races, and many more horses that are sure to impress. I will add a sobering thought to all of this, which is, that there’s a lot of water to flow under the bridge between now and when any of the above races are run, and to bet this far out is generally not a smart move, but if it’s simply a small ticket to prove to yourself whether you’ve got what it takes, you probably can’t do too much damage!